Welcome to RPGA, Home of Olympian Sean Townsend! 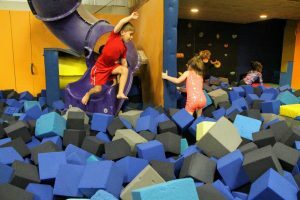 After school (Monday-Friday), our REFLEX Kids vans will pick-up and take your “precious cargo” to REFLEX for a variety of safe and fun gymnastics activities until 6:30p.m. 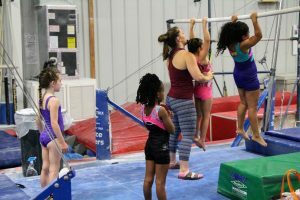 Your child is required to bring clothing for gymnastics activities (leotard, athletic shorts w/no zippers/buckles/buttons) and bare feet. Girls must have their hair pulled back in ponytail. No jewelry can be worn. *if your school is not listed we will get you on our waiting list for that school…we must have 5 children committed before we can accommodate that school…spread the word and we will add your school to our route! **If your child has a class @5:15pm or 6:15pm…we will make sure they are in class and their pick up time would be after class! REFLEX kids require a guarantee form of payment to be left on file at all times. Your credit card will automatically be charged the 1st of each month for the school year regardless of school closings and holidays. If you are a drop in for the day(s) or week your credit card will be charged immediately for the time needed. If you are needing your child to be picked up for the day, it is your responsibility to notify the school, and notify REFLEX by 10:00 a.m. that morning. Reminder calls or emails will not be made or sent. If your card is declined or your payment is not received on time, an extra charge of $10.00 will apply. If not paid in full, plus late fee by the 5th of the month, the student will be restricted from after school transportation and class participation until the account is current. REFLEX Kids after school transportation does NOT provide on Alvin/Pearland ISD student holidays, early release days, 1/2 days and school closings. bounce coordination and pit conditioning. Space is limited so sign up today to reserve your spot! 1st offense: Verbal warning to child/parent or guardian will be verbally notified. 2nd offense: Written warning sent home to parent/guardian and will also be verbally notified of possible removal of next activity. 3rd offense: Parent/guardian meeting will be scheduled to discuss solution to problem or immediate dismissal will be addressed. Parents will forfeit any fees for the remainder of session. In the event of serious severe weather conditions, REFLEX holds the right to cancel after school transportation with a two hour notice to the parent/guardian or contacting the parent/guardian to pick up their child early if needed due to inclement weather conditions. We ask that you keep in contact with REFLEX when severe weather conditions are in effect. Each REFLEX kids van will have a designated list of children to be picked up at designated schools. If your child’s name if not on the designated list your child will not be picked up. Please keep the front office notified in advance (by 10:00am) (281-412-3350) if you are adding your child for the day. If your child is on the designated list and your child is not present at time of pick up; the office will be notified, they will try and contact you and your account will be assessed an additional fee of $10.00. Please keep us notified (by 10:00am) (281-412-3350) when your child is ill or not going to school so we may update our designated pick up list for the day. Authorized adults must be listed on the registration form in order sign a child out for the day. Unauthorized adults will not be allowed to pick up a child. When adding an authorized Adult it must be in writing and the office will ask for proper ID prior to the child being released. Two emergency contact numbers will be needed for each child. If child becomes ill or injured, parent/guardian will be contacted immediately. If parent/guardian is not available, emergency contact will be called. If your child is ill or running a fever during program hours, we will promptly notify you and we will need for you to pick up your child as soon as possible. Please understand that we want to keep our kids and staff healthy! If your child has been absent for over 3 days, please send us a doctor’s note that allows your child to return to the gym. Activities are until 6:30pm. Children attending afterschool need to be picked up by 6:30pm. A late fee is applied for anyone picked up after 6:30pm, please be prepared to pay a late fee of $1.00/minute (for excessive lateness). 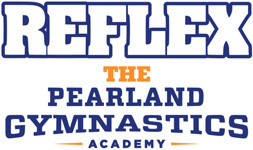 © Copyright | REFLEX the Pearland Gymnastics Academy | All Rights Reserved | Website designed and maintained by IVC Productions, LLC.